Since 1997, Providence Ministries has helped thousands of men learn to live free from addiction. 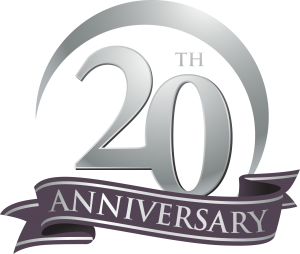 On Saturday, October 14, the Drug and Alcohol Recovery ministry will celebrate its twentieth anniversary, beginning at 4 p.m. The event will feature dinner and testimonies from past clients, who will share how their lives changed due to living sober. Providence Ministries began addiction counseling when founder and president, Roy Johnson, saw a recurring problem among clients at the homeless shelter. Many of the men staying at Providence’s shelter were there because of their substance abuse. Roy Johnson reached out into the community, seeking help with his plan to develop a recovery program. Reverend Larry Marlin, pastor of Unity Baptist Church heard of Roy’s need and arranged a meeting with Bob Roberson. Bob was a recovering alcoholic, and he had expressed a desire to help others with addiction. After the meeting, Roy hired Bob to help build a recovery program at Providence Ministries. Bob held the title of Chaplin at Providence, and worked with their recovery program until his death in 2000. Their plan became the Six-Month Men’s Recovery Program, in which men receive counseling from state and nationally certified counselors, using Matrix Treatment Manual coursework, 12 step meetings, life skills classes, and work therapy. More importantly, men in the program at Providence are expected to explore the spiritual aspects of recovery and discover, or renew their Christian faith. Since the initial program began, Providence has expanded its recovery to programs to include a transitional living facility, a 90-day Women’s program and a 90-day program for men. The Men’s Transitional Living is housed in the main building of Providence and an apartment building on Trammell Street. Participants in the Transitional Living program work in the community and are held accountable through mandatory group counseling and random alcohol and drug testing. Providence Women Recovery Center is designed to address not only addiction, but the specific emotional issues and trauma that often lead a woman to addiction. When these issues are addressed and resolved, long term healing, recovery, and transformation happen, making relapse less likely. This 90-day program, located in Rocky Face, has become a nationally-known safe haven for women seeking a life free from drug and alcohol addiction. Women have entered the program from as far away as Hawaii and Alaska. The 90-day recovery center for men (known as Our Master’s Camp) is located on a 100-acre farm in Rhea County, Tennessee. The outdoor country atmosphere, coupled with counseling and community interaction through a local church, provides balanced and Christ-focused healing. The recovery programs are overseen by Wesley Noland, Chaplain/Chief Operations Officer. Wesley joined the Providence staff in 2004, but was involved early in the program beginnings as a counselor and guest speaker. Wesley is an ordained minister and has Georgia CAC II and national MCAC certifications in addiction counseling. Providence Ministries works to keep costs affordable to most. The programs are subsidized through donations and proceeds from Thrift Stores. In addition to operating three homeless shelters in north Georgia and operating addiction recovery programs, Providence Ministries also provides three meals each day in their Community Kitchen and clothing to those in need. For more information on Providence Ministries, how to become involved, visit their website at www.providenceministriesinc.com call (706) 275-0268, or visit their main facility at 711 S. Hamilton Street, Dalton, Georgia.